Yesterday I returned to the village of Lipno nad Vltavou for a second visit. It’s a popular Czech destination in Southern Bohemia and about a 1.5 hour train ride from České Budějovice. The trip involved switching trains in Rybnik, a small Czech village in the Plzeň Region. Lipno nad Vltavou is in the South Bohemian Vltava River Valley near the Šumava Mountains. From the train station the village is a beautiful two-mile walk on a trail that wraps around Lipno Lake. I missed the early departure and took a crowded train with a lively group of Czechs on their way to a camping holiday. They were headed to Vyšší Brod, a favorite spot for camping and river rafting. Couldn’t tell what they were talking about but they were clearly having fun! 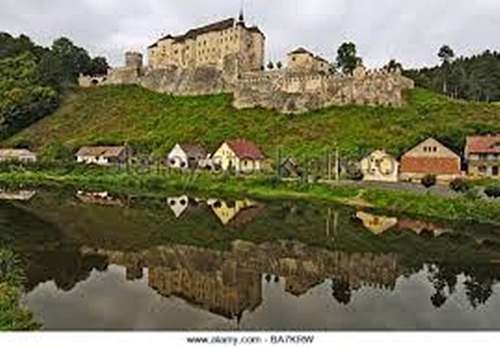 Lipno nad Vltavou’s history dates back to the 16th century. The settlement was involved in the timber industry and most inhabitants made their living rafting timber on the Vltava River. 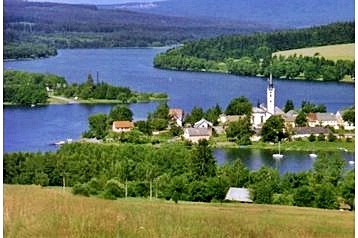 The village grew larger after construction of the Lipno Reservoir Dam. Today the area is a popular resort accommodating tourists all year round. In summer tourists camp, hike, bicycle, fish, pick mushrooms, and enjoy water sports like sailing, windsurfing, and kayaking. In the winter the area is a popular skiing location. One chairlift operates in the summer. Tourists ride it to the top for fantastic panoramic views of Lipno Lake and the Vltava River Valley. 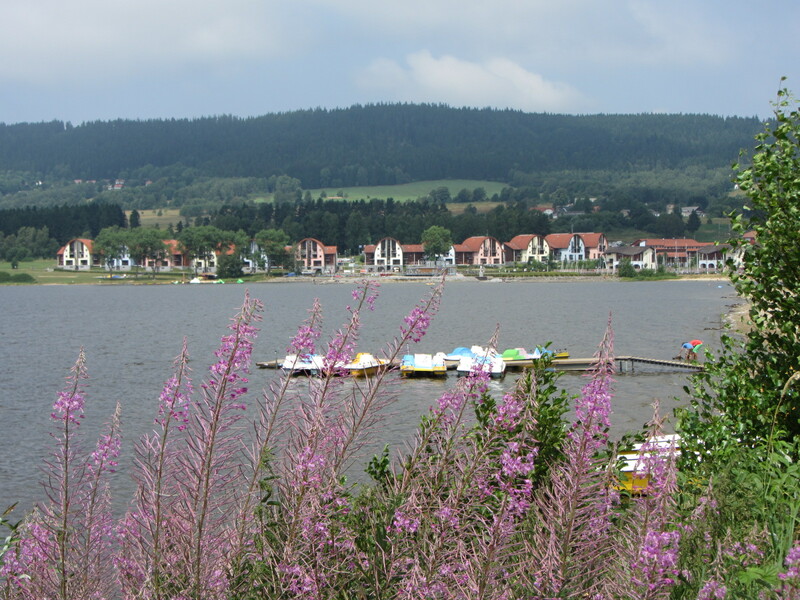 There are several small Bohemian villages near Lipno Lake. 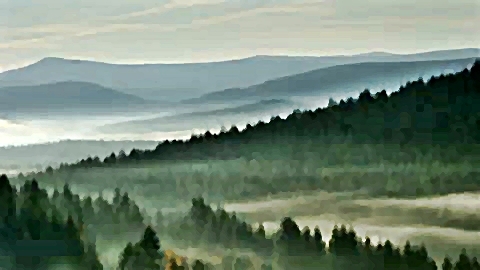 A favorite, Frymburk, is in the Šumava foothills on the left bank of Lipno Reservoir. Located on the trading path between Austria and Český Krumlov, Frymburk was a historic merchant village. It’s surrounded by the “Šumava Sea” and close to the Austrian and Bavarian borders. Frymburk’s landscape is very beautiful and almost untouched by civilization. In 1991 the reserve became a Czech National Park. 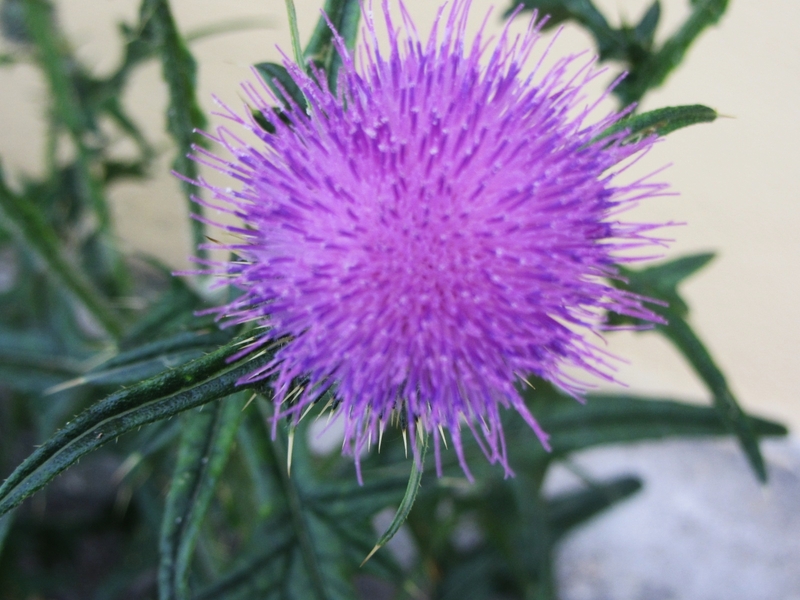 It’s 80 percent forest and the most extensive forested territory in Central Europe. On the way back to České Budějovice, I shared a compartment with a Czech family. They didn’t speak much English but were good company and full of smiles. 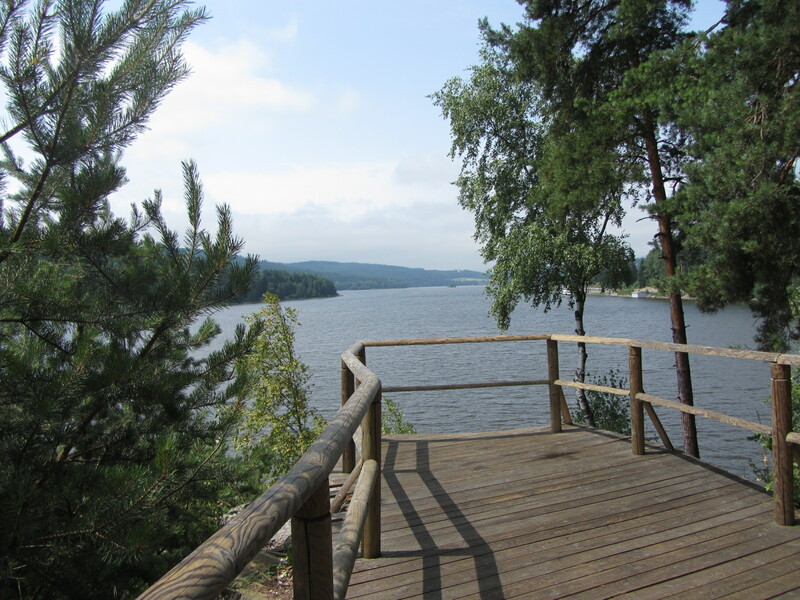 Hiking at Lipno Lake is fantastic! It’s a beautiful location and summer temperatures are cooler than České Budějovice and Český Krumlov. I’m leaving České Budějovice on Thursday and most of all will miss listening to the cathedral bell near my apartment. I’ve become accustomed to hearing it toll throughout the day and night. Prague is the next destination where I will stay in an apartment in Old Town. Although České Budějovice and Český Krumlov are beautiful, I miss the energy of a big city and there is much to see and do in Prague. Hopefully there will be more English-speaking residents there – or I will have to learn Czech! This entry was posted in Czech Republic and tagged Blansko Forest, ceske budejovice, Czech National Park, Czech Republic, Frymburk, Hořice na Šumavě, Lipno nad Vltavou, Lipno Reservoir, Loučovice, Plzeň Region Czech Republic, Rybnik, South Bohemian Vltava River Valley, Stožec, UNESCO Biosphere Reserve, Vltava River, Vyšší Brod, Šumava Mountains, Šumava Nature Reserve, Šumava Sea, Černá v Pošumaví, Český Krumlov by suemtravels. Bookmark the permalink. Yes, there are many beautiful places to visit – you live in one of the best – Canada! The travel blog helps keep me grounded. 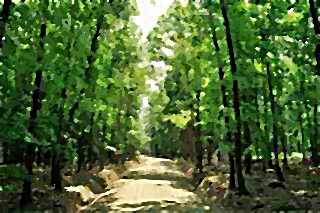 Played with some of the photos using a “picturization” feature that converts photos into oil painting or watercolor like images. It worked well with the picture of the mountains. I use a free software you can download on-line called PhotoScape.